Virgin Vacations London vacation packages bring early holiday cheer. Holiday cheer abounds with Virgin Vacations’ announcement of it’s London Fling vacation packages that have warmed the hearts of would-be vacationers around the world. After a tough economic year, many would-be travelers have scaled back or canceled holiday vacation packages as a result of shrinking travel budgets. In response to this international trend, travel companies have been scurrying to offer affordable vacation packages to some of the most popular holiday vacation destinations around the world, including London. 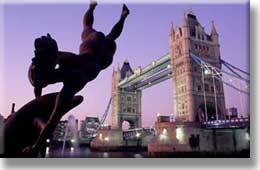 London vacation packages around the holidays have historically been quite popular. London has many beautiful sites decorated for the holidays, as well as amazing shopping, great food and unparalleled nightlife. Whether a traveler wishes to celebrate the holidays or not, London is a great destination in the early winter months. Virgin Vacations announced 3-Night London Fling vacation packages starting as low as $459 based on the hotel selected by the traveler, their city of origin and the dates selected. These travel packages which include air transportation, hotel accommodations, continental breakfast and hotel taxes will surely be quite popular for people looking to get some holiday shopping in before the real holiday crunch begins. The timing of Virgin Vacations announcement makes it clear that they are gearing up for a busy winter travel season as vacationers look for discounts and packages to help spur vacation travel as we say goodbye to 2005 and hello to 2006. More information on the London travel packages offered by Virgin Vacations can be found at: http://www.virgin-vacations.com.